I received my Wings of Light on Tuesday, November 7, 2017. It was a new beginning for me spiritually. I remember the experience well. As soon as I opened my eyes, I felt like this was a brand-new day, for a brand-new me. The energy around me was brighter, lighter, fuller, deeper, and richer. As I opened the bedroom shades and scanned my backyard, I was in AWE of the beauty of nature: the blue sky, sun warming my face, the colors of fall season, the green grass peeking through harvest golds, and the brown hues of leaves piling up on the ground. I touched my heart and felt the presence of internal peace, grace, and divine love. I prepared my two dogs, Hope and Shylo for our morning walk, I knew something wonderful was happening. As we rounded our first corner, headed to our walking path, I was in silent meditation. I was “Calling in the Light of Healing Light” and grateful for all the beauty, grace and love that blesses me and fills me daily. I continued to walk and felt my wings unfold. I paused and reached behind to touch my wings. I smiled. I was in pure delight. I took a deep breath and straightened my back and stood up taller. I wanted to wear my wings proudly. The rest of the morning I practiced walking with my new wings of light. At 7pm that evening, I decided to attend the Healing Ministry at Unity Minneapolis. I was given the opportunity to experience three energy healers that evening for 10 minutes each. 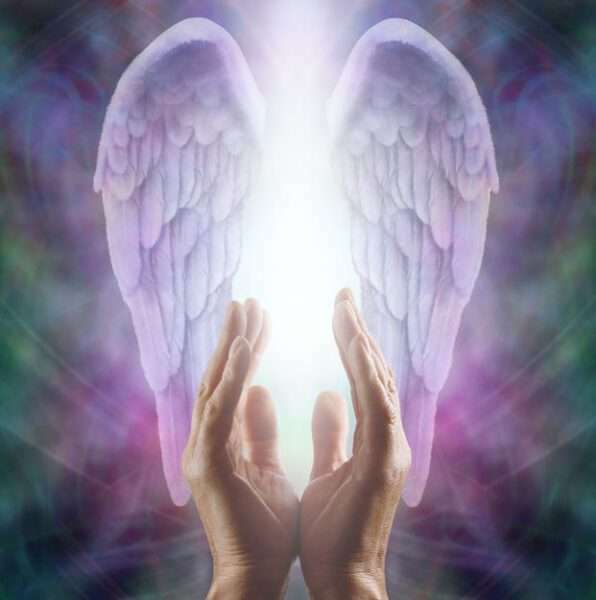 Each time the energy healer asked what I desired, and I responded, “I ask to be filled with more light.” As the third energy healer was working with me, I felt her “energetically” touch my wings and open them. I thought to myself, “That’s silly. She doesn’t know about my wings.” As the session ended, she bent down and whispered into my ear, “I was opening your wings.” I stood up and presented my hands in Prayer Pose/Namaste Hands and bowed to her. I said, “Thank you for acknowledging my wings, I just got them today!” She gave me a big hug and we had a sweet laugh of understanding between the two of us. It was an amazing confirmation of this new blessing. Since that time, my work with Sacred Sound and the Light of Healing Light has accelerated. My business Gateways to Brilliance, focuses on transformational ceremonies that awaken your higher consciousness and expand your inner light. I now offer monthly workshops to support the activation of Receiving Your Wings of Light. Receiving Your Wings of Light workshop is an invitation from the Universe to be in service to all beings on the Planet Earth. Our calling, beckoning, knowing, quickening is to shower more Divine Love, Healing Light, Grace, Peace, Compassion and Joy to those we encounter both physically and intuitively. This workshop allows you to walk through another gateway that activates your higher heart and infuses you with spiritual light. If you have felt that your Wings are trying to sprout or open into full glory, or your wings have temporarily closed, and you are ready to awaken them again this workshop is for you. Maybe you already have your wings and you are being called because your heart is vibrating divine love and you are ready to support the expansion of light. The expansion of light is part of your purpose and service to humanity. This activation is offered in a small group setting of 8-10 people. The next workshops offered are June 23, July 21 and August 25, 2018. Lightworkers, it is our time! Light continues to expand on the planet. We are being called to radiate our light more brightly and confidently. Receiving Your Wings of Light is a great way to share your love with others and support humanity. May the winds of blessings lift you up on angelic wings. I am a clear channel for divine love, healing light, grace, peace, and compassion. I am passionate about cultivating conscious environments, both inner and outer, through my work as a certified Feng Shui, Sacred Sound & Light consultant. My ceremonies and workshops are interactive, powerful, meaningful and transformational. 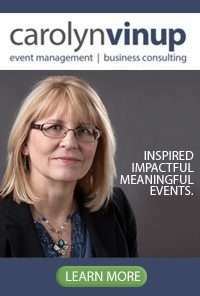 To learn more please visit www.GatewaysToBrilliance.com, Carolyn@CarolynVinup.com, 612-325-5162.